If you want to read something with more detail on the film including major spoilers, there are some great pieces like this and this. One look at the poster above tells you much about what you might be in for in a viewing of Get Out, written, produced and directed by Jordan Peele in his directorial debut. A Blumhouse production, other titles like The Visit and The Gift offer a reliable guide that Get Out will be a thriller with horror elements. A devoted Stephen King fan in my teens and an all round fan of the horror category of films, (particularly as wonderfully unsuitable material for the rare adolescent sleepover), I turned away from the genre in my early 20s and have struggled with it since. When I do watch a film with horror elements for my reviews for Weekend Sunrise, it is generally with trepidation, but I must say I have enjoyed recent efforts including the two mentioned above. Get Out falls into this bracket of mystery films that have some terrifying frights. 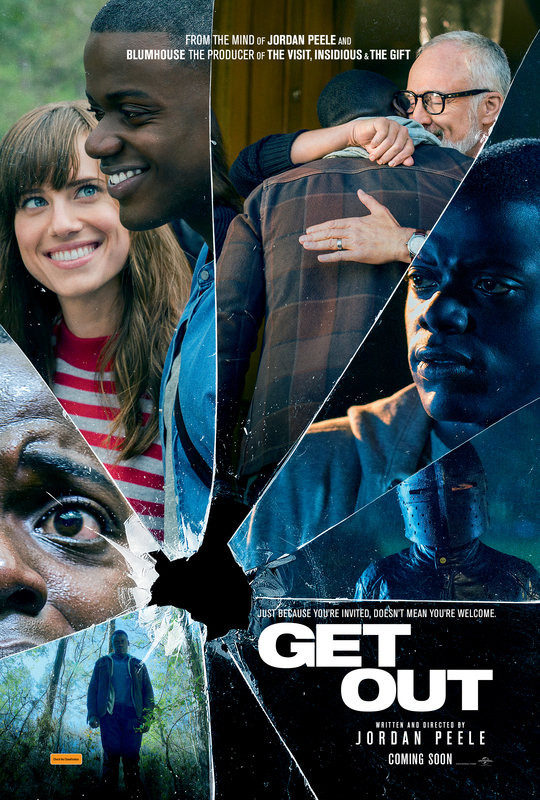 Luring audiences in with the offer of a spooky film about a young interracial couple (Sicario’s Daniel Kaluuya as New York photographer Chris Washington and Allison Williams as his girlfriend Rose Armitage whose folks we are about to meet) on a family visit in a remote rural location who discover a dangerous secret, Get Out is also a contemporary commentary on race relations in the United States. Difficult as it may be in this hyper connected social media age, the less you know about the film the better, and, (as I discovered later to my regret having missed the first couple of minutes as I dithered about over which session to catch), there is a lot going on right off the bat. What I do know is that, thanks to my own teenage son, writer/director Jordan Peele is one half of the outstanding, disruptive and hilarious Key and Peele comedy duo. Having seen and enjoyed the socially charged humour in their TV shows, I felt I was able to appreciate many of the subtleties Peele has implanted throughout Get Out. There are many online articles that detail the deeper meanings of the events portrayed in the film and whether or not various audiences will connect the dots that are sprinkled throughout, and I for one found it an utterly fascinating glimpse into the world of “being black”. As I don’t know any black people, it struck me how unconventional it was to watch a movie with a black lead doing things as mundane as kissing his white female lead. No doubt a salacious idea a few decades ago, and sadly still outrageous to large portions of the world, it offers a stark reminder of how far we have to go in accepting a truly multicultural and racially harmonious society across the globe. Peele’s racially charged writing and direction are a great reminder that we need films like Get Out to shake us from our everyday lives and try to see the world through another person’s eyes. 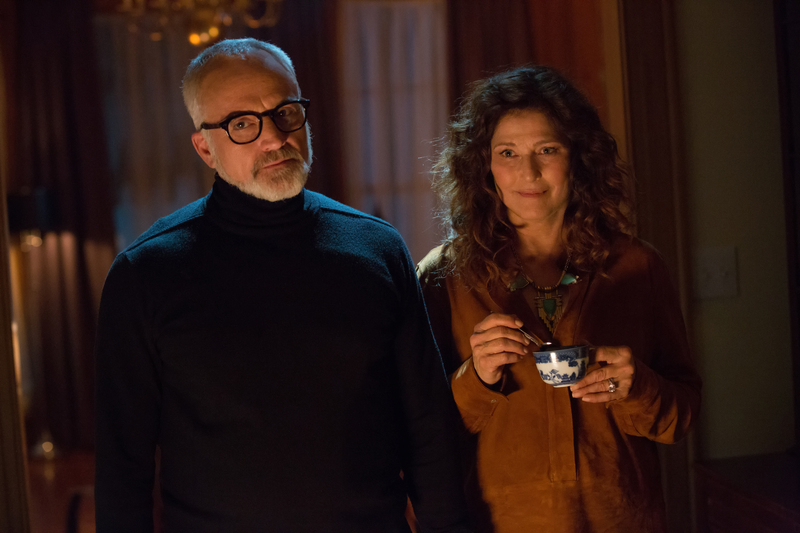 Part Hitchcock, part Cronenberg, Get Out gives The Twilight Zone and Black Mirror a run for their money as a solid slab of edge-of-your-seat entertainment. Definitely agree that Get Out’s a must see! Such an impressive feature debut for Peele.